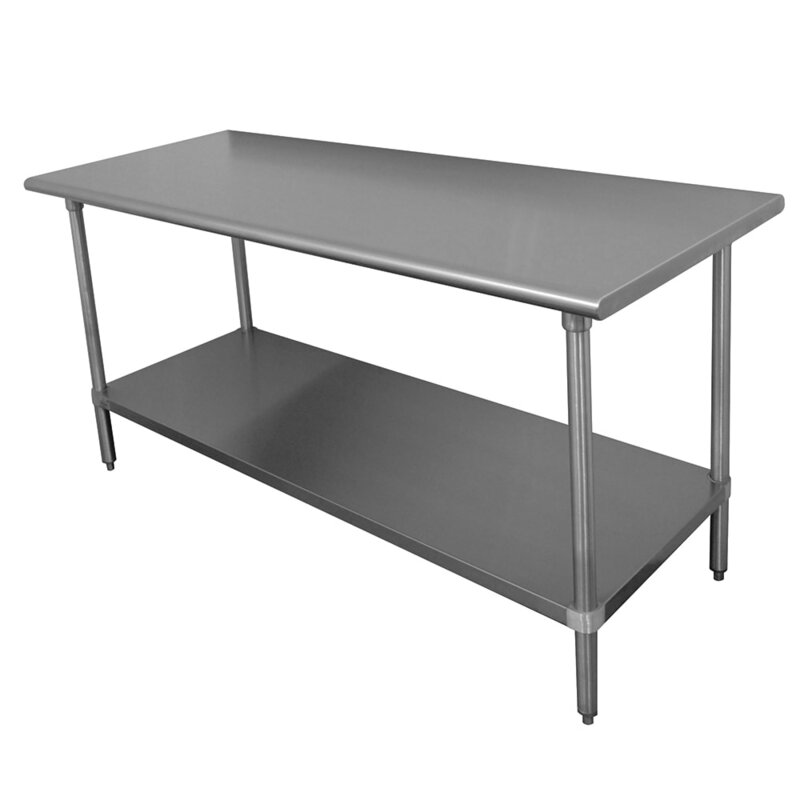 The Advance Tabco TTS-244 work table measures 48 inches long by 24 inches wide and has a 351⁄2-inch work height that is comfortable for ingredient prep and equipment operation. Sound deadened to reduce noise levels, the top is made of 18-gauge stainless steel that is thinner than other popular gauges, though it is affordable. This top is 430 series stainless steel, which is composed of little nickel and more susceptible to corrosion than 304 series steel. For comfort while users are working, the top has rolled front and rear rims. Ends are square, enabling flush installation against walls and other tables, while this Advance Tabco TTS-244 work table has an adjustable undershelf for storage and adjustable bullet feet for stability. Our resource on work tables provides in-depth information on equipment stands and work tables.